This week’s FRIDAY FLASH SALE takes place on November 9, 2018 (Friday obviously)! Friday Flash Sale will be gone in a flash! No discount code needed, simply come shop. Includes flat rate $1.99 shipping. Come shop early because only limited quantities are available. 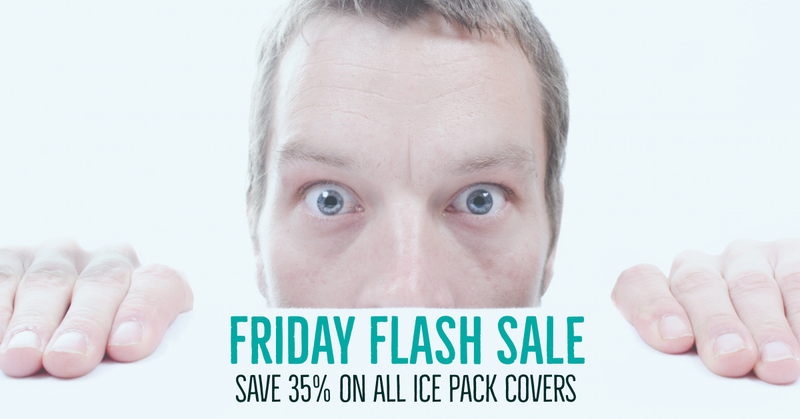 Don’t miss out on this chance to grab one for each of the ice packs stashed in your freezer. We all know that sometimes pain management is not all that fun. Those ice pack covers can be so drab and boring. Purchase one of these ice pack covers from Stacey Sansom Designs and take the ugly out of your ice pack. These decorative ice packs feature a full hook and loop closure to ensure your ice pack stays inside. Each one is constructed of 100% cotton fabrics (aside from trim) – one side 100% cotton flannel and one side 100% woven cotton. The two fabrics allows you to maximize your comfort level without sacrificing any of your ice pack’s cold. All ice pack covers are 100% freezer safe. Take straight from the freezer for use and return it back to the freezer. No need to remove the ice pack cover. All ice pack covers are 100% machine washer and dryer friendly. If they get a little dirty, grungy, or pick up freezer stink just remove the ice pack and wash and dry with this week’s laundry. These covers were not designed to go in the microwave. While they are 100% cotton fabrics, they contain polyester and nylon thread and trim. Please do not microwave! Remove your microwave safe ice pack, heat to temperature desired, and insert back into your decorative ice pack cover. * Some restrictions apply on all FLASH FRIDAY SALES. Sale runs on Friday only. Limited to quantities in stock. No custom orders. Limit 10 per customer. Sale ends at 11:55PM Friday. Subscribe to our email newsletter. No SPAM, just the good stuff.